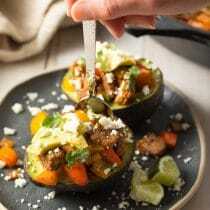 Stuffing in a Bundt Pan – An easy and beautiful way to prepare your Thanksgiving Stuffing Recipe! Use one of our stuffing recipes, or use your favorite stuffing recipe to create this gorgeous tasty centerpiece for your Thanksgiving table. Stuffing is one of those Thanksgiving dishes that often gets overshadowed by dishes with marshmallow topping and heavy cream, and ends up in the back of the fridge for weeks. Since stuffing happens to be my favorite part of Thanksgiving dinner, I think it’s important that your stuffing recipe gets the proper amount of respect and attention this year. 2) Presentation. 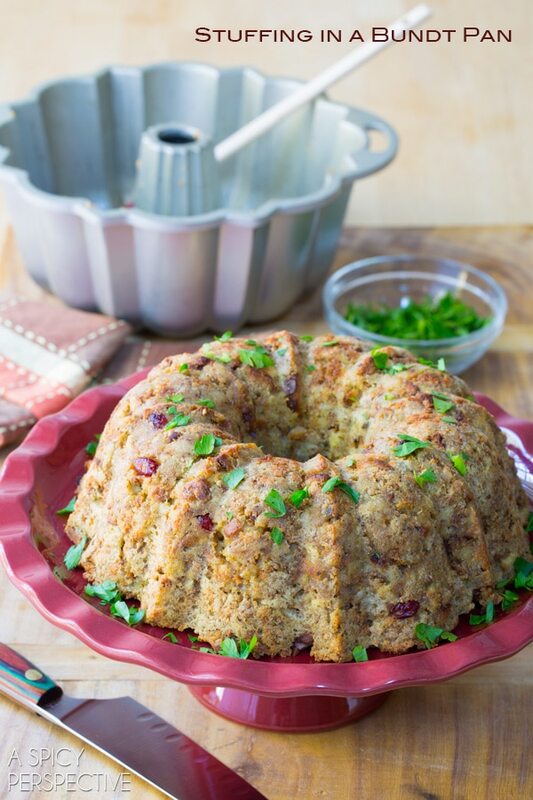 Make your stuffing stand out on the table by baking your stuffing in a bundt pan! 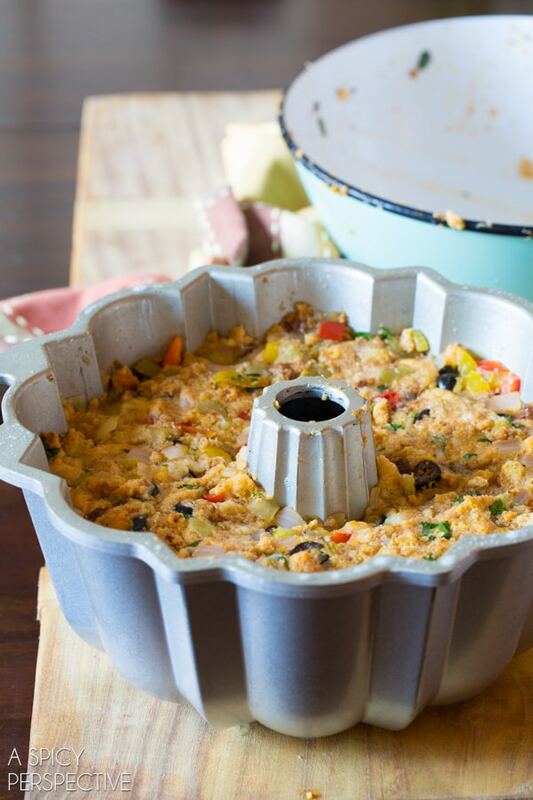 Stuffing in a Bundt Pan is not only a fun way to present your stuffing this Thanksgiving, it frees up other baking dishes for use. Then spray a large bundt pan with non-sticking baking spray… the kind that has flour in the spray. This will help your Stuffing in a Bundt Pan come out of the pan. Then bake and cool in the pan. When you’re ready to call your guests to the table, loosen the edges with a narrow rubber spatula and flip the Stuffing in a Bundt Pan out onto a platter, or better yet, a cake stand. Then cut each guest a slice of warm stuffing and serve with all your other Thanksgiving favorites! Are you as crazy for Bundt Cakes as we are? 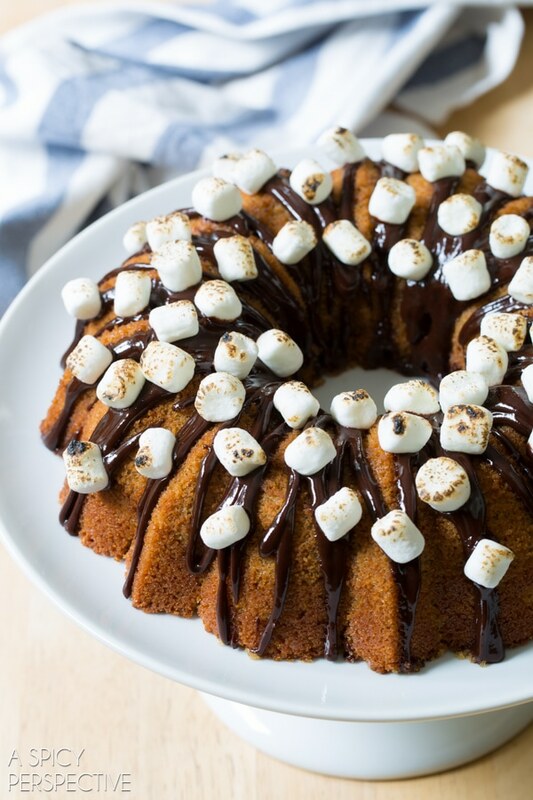 You need to get your hands on our brand-new ebook Brilliant Bundt Cakes, packed full of decadent bundt recipes for all your holiday gatherings! 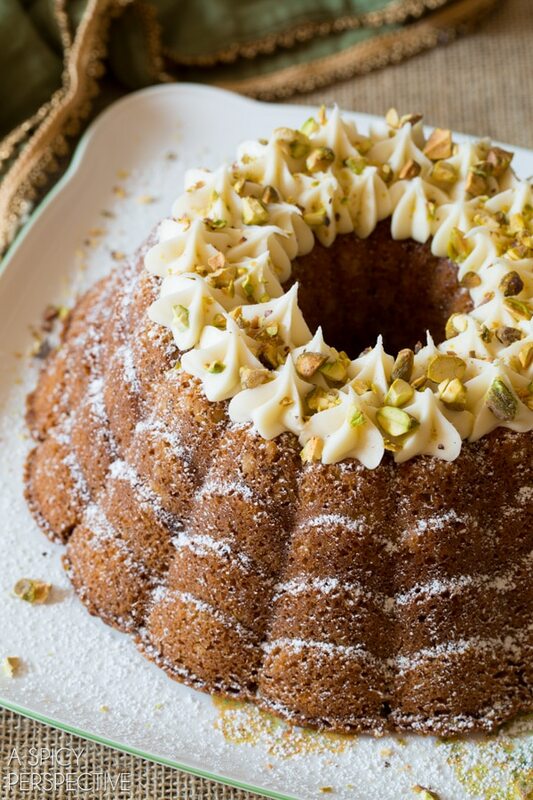 Brilliant Bundt Cakes is a digital collection of 35 of our very best bundt cake recipes the fit every occasion. 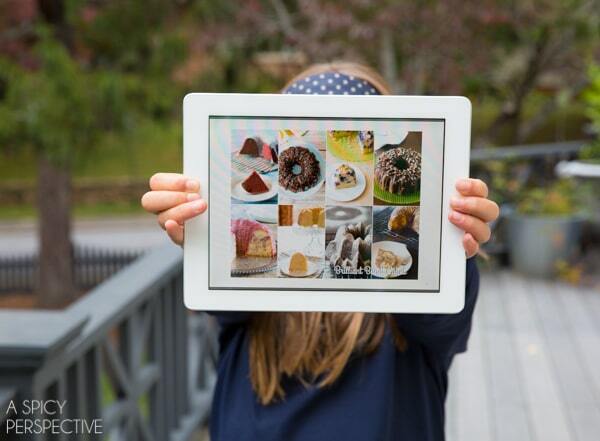 Download your copy and have bundt recipes at your fingertips everywhere you go! 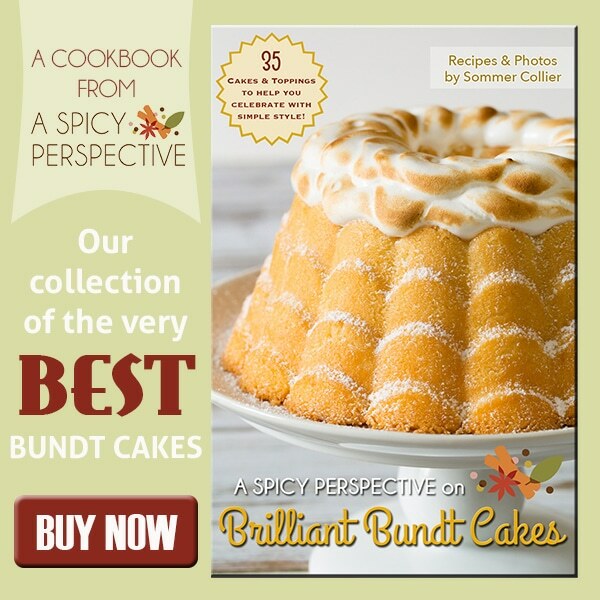 Brilliant Bundt Cakes is on sale at a reduced price for the holidays, only $2.99. 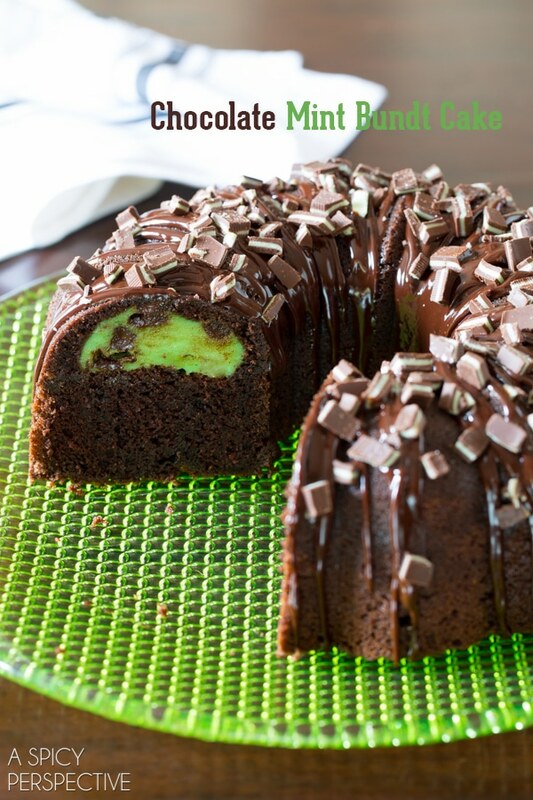 Or link over to our Brilliant Bundt Cakes Page to see more tantalizing images and get download instructions. Preheat the oven to 400 degrees F. Prepare your stuffing according to recipe instructions. Then stir in 4 eggs until fully incorporated. Thoroughly coat a 12 cup capacity bundt pan with non-stick baking spray. Fill the bundt pan with the stuffing mixture and press down to pack it in. Bake the stuffing bundt for 30-40 minutes. Then cool for at least 25 minutes in the pan. Use a long narrow spatula to loosen the top edge of the stuffing from the bundt pan. Don’t be afraid to stick the narrow spatula down the sides of the bundt pan if needed. 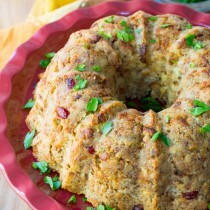 Then flip the stuffing bundt out onto a platter or cake stand. Serve warm. So this came out perfect! 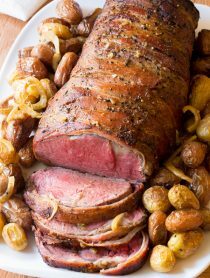 We always have a BIG holiday dinner during the HOT summer months as it is just too HOT to sit out and grill. So drop the AC to 72. Cook up a meal and watch movies! The texture was just like when I make regular homemade cornbread dressing. NO taste of eggs. Just creaminess. Cooking that extra 10 minutes gave just the crisp we wanted. Thanks for sharing! This will be beautiful on our table for the Holidays! We like it crispy brown. Any suggestions on how to get this? You can lower the oven rack to the bottom position so it’s closer to the heat source. 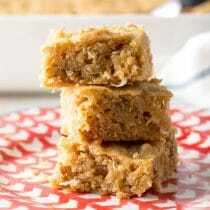 You can also leave it in the oven 5-10 minutes longer without it drying out. 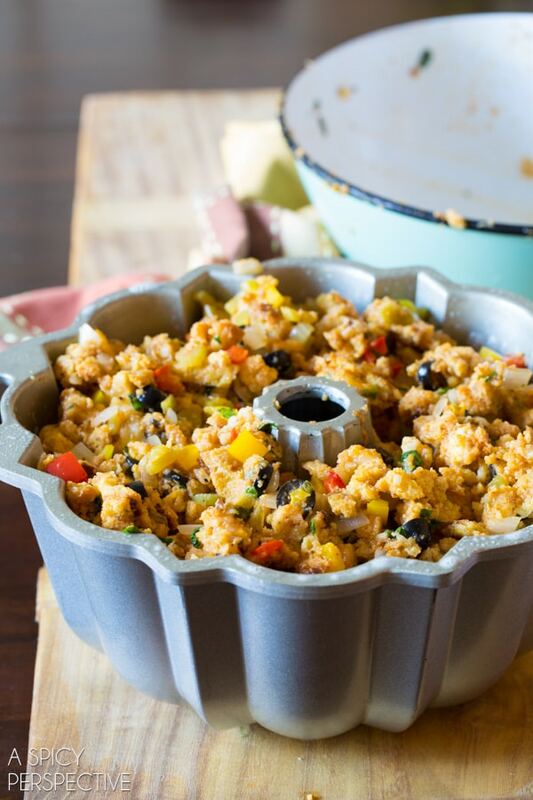 I made this “Stuffing in a Bunt Pan” for Easter it was fabulous and everyone loved the presentation! Thanks so much for such a wonderful idea. The eggs enhanced the stuffing, made it fluffy without changing the flavor. Can’t wait to try this. Thanks for the cool idea! I’ve been doing this for years. 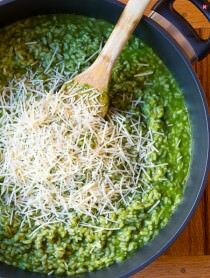 You can also drizzle gravy over the top for a fancier touch. One warning: The first year I did it, a guest thought it was dessert (cake). Anita, gravy over the top sounds great!! 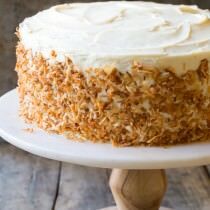 Bake at what temperature and for how long? I’d love to do this but if I blow it, I’ll never hear the end of it. So set the oven on what and for how long? Hi there! The recipe is right above the comments… 400 degrees for 30-40 minutes. Good luck!! I have to admit…stuffing is my favorite part of Thanksgiving meal…after dessert of course :-) This is such a fun way to make and present stuffing! I love it! This is such a cool idea! Definitely trying this!!! I love this idea! It makes the stuffing look so neat on the plate. Who knew stuffing could look so pretty? This is a fantastic idea, so creative!!! OMG! You took stuffing and elevated it to the center of attention! Which is totally where it belongs in my humble opinion. Love, love, love! Pinned! 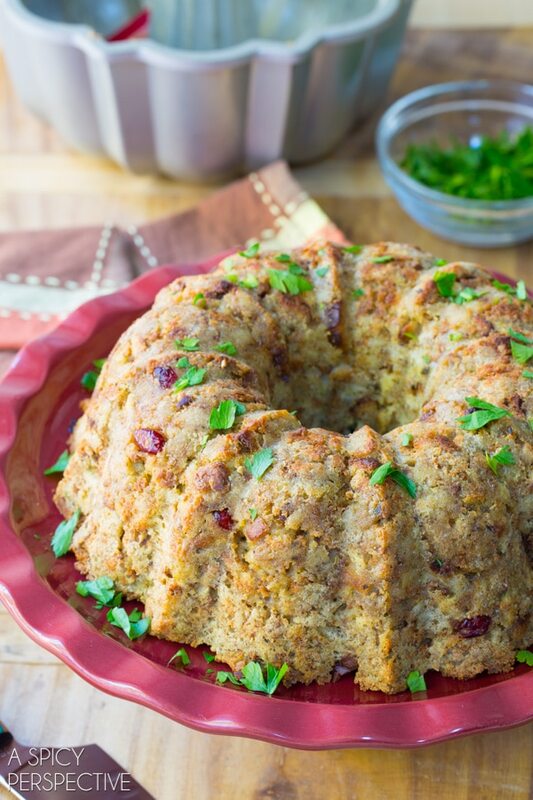 Love the bundt idea but putting eggs in stuffing? no thanks. Hi KL! The eggs only act as a binder so the stuffing holds its shape. They don’t effect the flavor at all. So use egg beaters substitute. Not going to lie, when I saw this, I thought it was pretty freaking awesome to do stuffing in a bundt pan!! So fun! What a fun idea!! Love this! 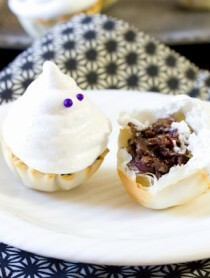 What a fun way to serve stuffing. Very creative too. What A great idea! And it is so nice to be able to slice off a piece- very smart Sommer! Are you kidding?! “relegated to the back of the fridge” – in our house we do fried stuffing burgers for breakfast! >_< LOVE this idea!! what is a fried stuffing burger?! how does one make this?!?!?! What a great idea! The stuffing looks so much nicer served in a bundt pan. I love it! 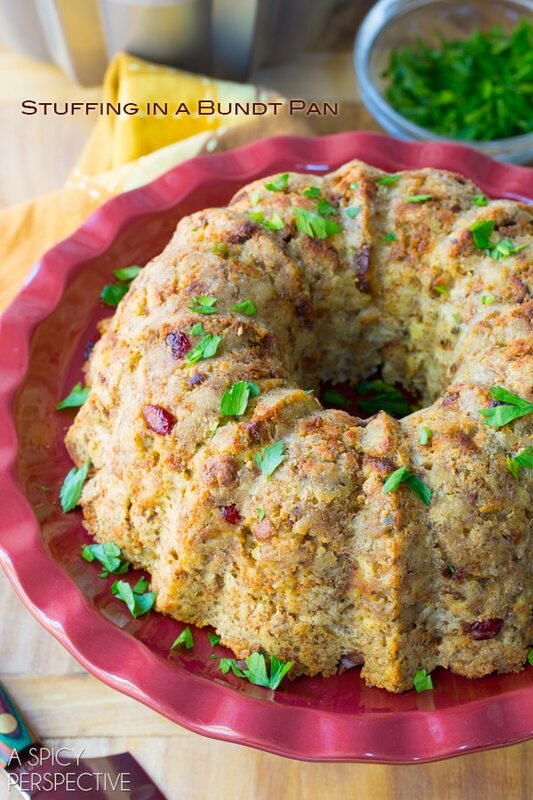 This is so innovative ~ I’ve never seen stuffing in a bundt shape. Love it! Such a fun idea!! Love this! Sooo smart!! Totally genius – I have to get a copy of your book because my poor bundt pan is so under utilized! Sommer! You are so creative!!! 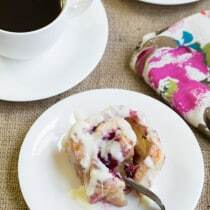 It makes my heart happy :-) This idea made me smile b/c I know how you love the bundt pan. Everyone should order your new e-book! It is amazing!!! This is extremely genius. This year, I’m stuffing my bundt with stuffing. Of course you put stuffing in a bundt pan:) SO fun! What a wonderful idea. Perfect for the holidays.